Submitted to the Graduate Faculty in Psychology in partial fulfillment of the requirements for the degree of Doctor of Philosophy, The City University of New York. Young people are the canaries in our contemporary data mine. They are at the forefront of complex negotiations over privacy, property, and security in environments saturated with information systems. The productive and entertaining promises of proprietary media have led to widespread adoption among youth whose daily activities now generate troves of data that are mined for governance and profit. As they text, email, network, and search within these proprietary ecologies, young people’s identity configurations link up with modes of capitalist production. 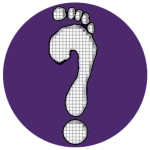 The MyDigitalFootprint.ORG Project was thus initiated to unpack and engage young people’s material social relations with/in proprietary ecologies through participatory action design research. The project began by interviewing New Yorkers ages 14-19. Five of these interviewees then participated as co-researchers in a Youth Design and Research Collective (YDRC) to analyze interview findings through the collaborative design of an open source social network. In taking a medium as our method, co-researchers took on the role of social network producers and gained new perspectives otherwise mystified to consumers. Considering my work with the YDRC I argue that involving youth in designing information ecologies fosters critical capacities for participating in acts of research and knowledge production. More critical participation in these ecologies, even proprietary ones, is necessary for opening opaque aspects of our environment and orienting data circulation toward more equitable and just ends.